A dedicated and committed school management team is the keystone of any successful school, but what happens when SMT members struggle to implement effective planning, organise their departments, manage their time or have conflicting ideas? Create an inspired vision for your department! 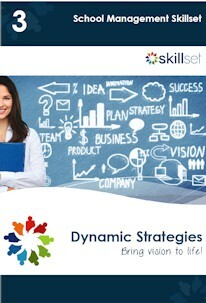 Establish dynamic strategies to meet your objectives! Manage time and get organised! 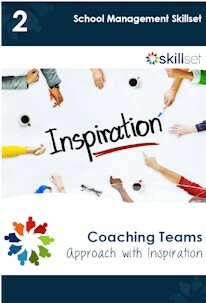 Delegate and upskill your teachers! 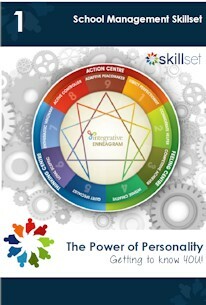 Using the insights of the Enneagram you will have the tools to identify characteristics of personality types and manage individuals positively, communicate effectively and work with challenges confidently! Equip your SMT to effectively PLAN, ORGANISE, MANAGE and CONTROL their departments! "The arrival of the Enneagram has changed the way the SMT interacts with each other and with the staff that they lead. We have all had a tremendous insight into the workings of the various personalities in the group." Is it time to get the team aligned with the vision you have in mind? It's time to get inspired. Let's change. Let's brainstorm. Let's grow! Let's GO! If the objectives of your strategic plans aren't evolving – you're doing something wrong. 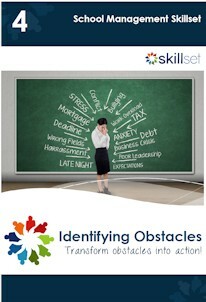 Learn how to transform vague strategic ideas into allocated, implemented action! Discover how to coach your staff to be liberated from limiting beliefs, fears and habits that prevent them from reaching their full potential. Adopting this coaching structure, you will learn how to facilitate and guide parent-teacher meetings in a way that supports and empowers your teachers while encouraging positive parent contribution. Without all your team members onboard, this bus is going nowhere! Motivating, including and understanding your staff is key to your departmental success. Find out how.